The four-person, pink squirrel research team knew they were onto something when their article was published in the Journal of Mammalogy and the media requests started rolling in. “That’s when the excitement started,” said Allie Kohler ’18, lead author on the project and now a graduate student in wildlife and fisheries at Texas A&M. First came an article in Nature, one of the top scientific magazines in the world. And then came The New York Times, National Geographic, Newsweek, Smithsonian, and other publications, seventy-plus and counting. And so what is all the fuss about? In May 2017, Jonathan Martin, professor of forestry, read a paper by a researcher who had discovered the first frogs to fluoresce under UV light. 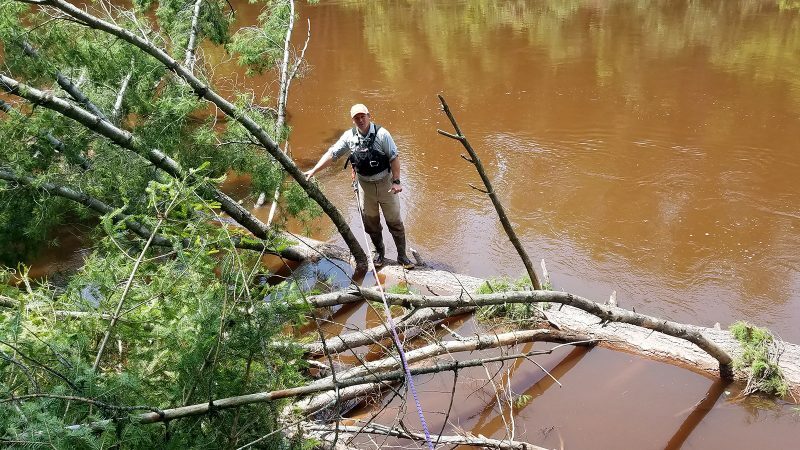 Martin is an amateur tree climber, photographer, and “wannabe” explorer, and has been working on a white pine canopy project for years with colleague Erik Olson, assistant professor of natural resources, learning about the critters that live at the top of the trees. One such critter they researched was the grey tree frog which can have bright yellow on its underside. Martin wondered if this yellow also might fluoresce. It did not, but his search for other fluorescing organisms became an almost nightly activity. “The forest at night can be quite beautiful,” Martin said. Then one chilly May night, he heard the tell-tale chirp of flying squirrels at his birdfeeder. He pointed his UV flashlight upward and noted a glimmer of pink coming from the underside of a flying squirrel—a nocturnal mammal that glides from tree to tree using its membranes or patagia that stretch between the forelimbs and hind limbs. 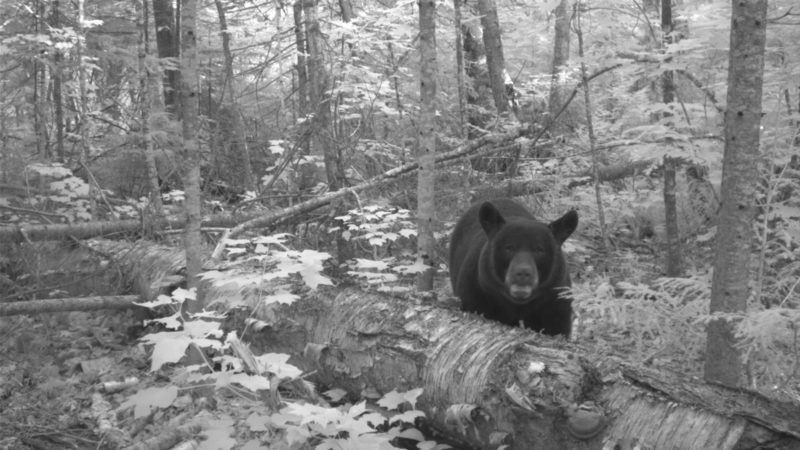 He showed Olson and Paula Spaeth Anich, associate professor of natural resources and an expert in small mammals, what he found and the project began. The team asked Kohler to take the lead. She was an undergraduate biology major about to enter her senior year. She had time and she had access. She was already helping on a small mammal trapping project in the Apostle Islands with Olson, and she had worked on a mammal survey with Anich. 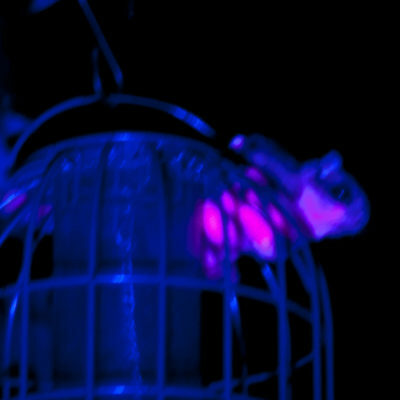 For her first step, she captured a flying squirrel and with a black light confirmed it was hot pink. Next Kohler took a trip to the Minnesota Science Museum. She knew the curator and told him she had something cool to show him. 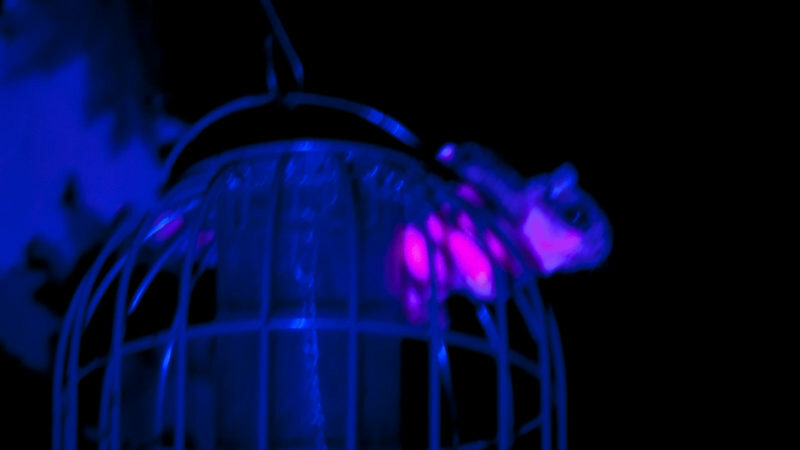 They pulled out every drawer with all three species of flying squirrels—the Northern flying squirrel, the Southern flying squirrel, and the Humboldt’s flying squirrel—and all of them fluoresced pink. 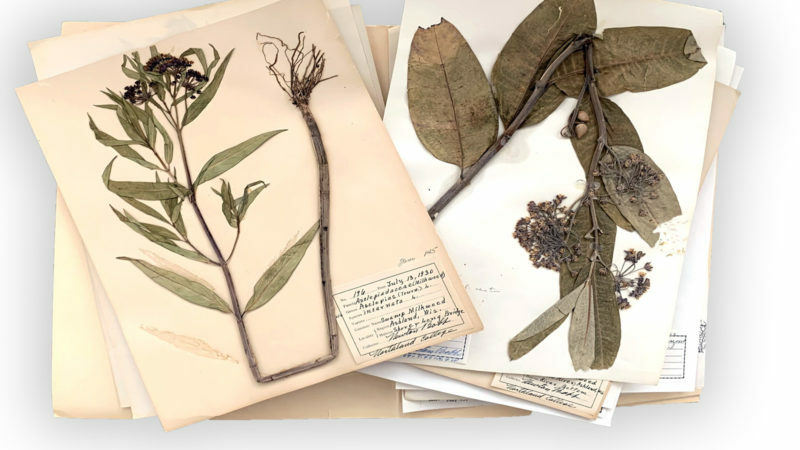 Funded by the Northland College Professional Development Funds, Anich, Martin, and Olson then took a trip to the Field Museum of Natural History in Chicago to photograph more specimens—testing gray and red squirrels, which did not fluoresce, and flying squirrels. In all, the team tested one hundred flying squirrels and they all showed pink at varying levels of intensity. 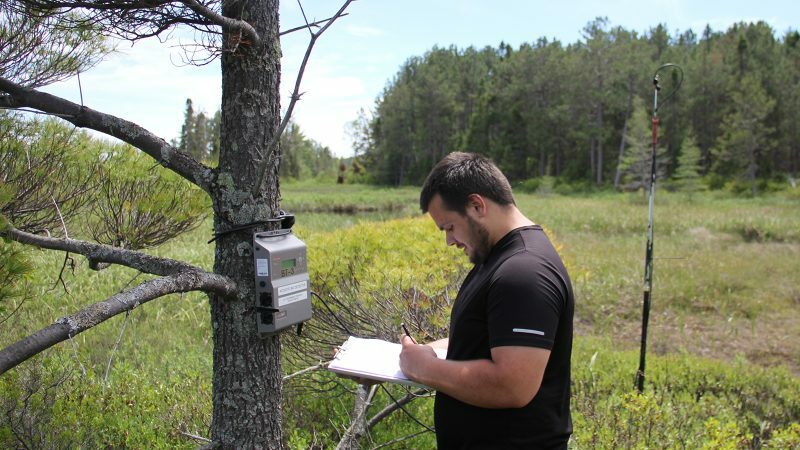 “This project represents what Northland does best: creative research with undergraduates,” Anich said. 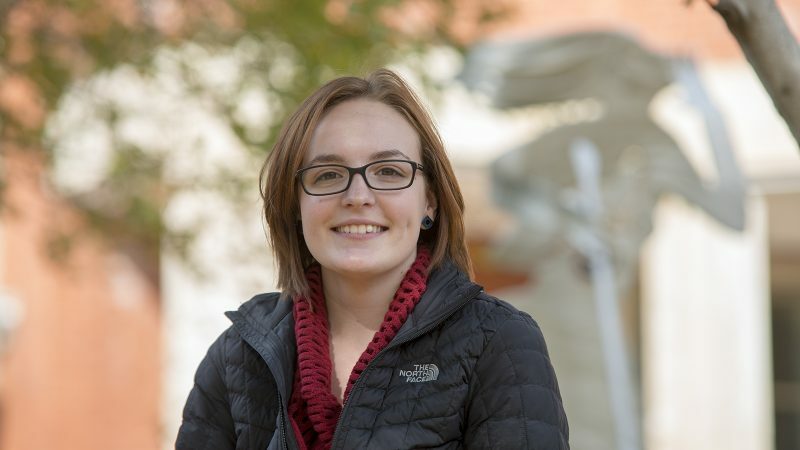 Kohler became the lead author of the paper, an unusual place of honor for an undergraduate student. She heard about Northland and knew immediately that this is where she was meant to be and she took full advantage. Applying for and joining Olson’s Wildlife Research Lab and then signing on for the pink squirrel journey. Olson believes workspaces that bring people from different backgrounds together in one space can inspire creativity, lead to unique collaborations, and the development of novel ideas and hypotheses. There are two working hypotheses to explain the pink. The squirrel uses it to communicate or as a way to avoid predators. Kohler’s research on pink squirrels will also continue. Working with Chemistry Professor Sharon Anthony and the researcher who documented the fluorescent frog, Kohler is now working on a project to identify the fluorescent compound. “Once we know that, then we can ask how do they see it and then what its purpose is,” Kohler said.